can never go wrong with Te37s, classic design and everyone should at least own a set of these once in their lifetime. My Daily Evo VII progress build thread. So it was CRAZY close between the TE37SL's and the Fifteen52 Tarmacs. We got the call from EA that choice A) had won! Many thanks to Zi, Yonas and the boys at JDMyard for loaning us the TE37SL's for the project video (we're now buying them! ), to Budi at Autotechnik Tuning for loaning us the 57DR, and Chern at fifteen52 Australia for lending and sending us the Tarmacs (so close Chern!). Much appreciated. Having the support from these local businesses means so much to me. Our TE37SL's thanks to the guys at JDMyard! We'll be fitting some fat Toyo R1R's to them, stay tuned for updates! On the topic of TE's being "overdone". You cant argue that it's a top shelf rim, the holy grail to me LOL! So much wow and a rim I'll most likely respect and love until I die. I do see value in being the first to do something different, and I respect people who live for that, but it's definitely not my style. So personally. I would have rocked the Tarmacs (when I first found out about them I actually wanted a set for my Golf), but I'm stoked the TE37SL's won! Last edited by Justin Fox; 01-12-15 at 02:38 PM. Pretty excited about using more drone footage in our videos in 2016! This is just a test flight for our wrap up Need For Speed S15 Video. Enjoy! Sydney sure is beautiful... right?! I took all this crap out (I like stripping!). 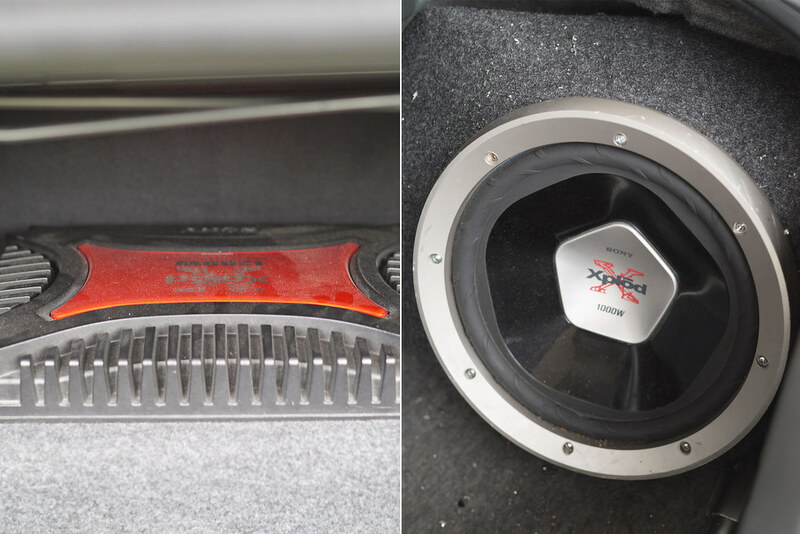 The sub was loose in the boot, and the amp was just nailed down to a loose bit of wood under the carpet. Crazy how many horrible audio installs Ive seen over the years of buying 2nd hand cars!!! Wheels are the same width all round, so in this pic you can really see the difference between a stretched 235 and a fat 255. FAT RUBBER FTW! Much thanks to Toyo Tyres Australia for the R1R's going on our S15 build. The wheels are the same size all round so we've gone for a staggered set of tyres. 235's at the front and 255's at the rear. The rears look damn fat! So fat that the tyres stick out just past the rim's face. Perfecto! The front's were a bit of a stretch, but we're thinking this might not be a bad thing as 9.5 wide rims are pretty wide for the front. Video by Selectnine dropping soon! Nice to see an S15 that doesn't have mega tyre stretch and massive camber for once. It's week 3! The final week of our Need For Speed - Crew Create car customisation project! This week we team up with Melbourne based street Artist Dvate to create 3 unique wrap options. Personally I like the last option the most (hey he does too!). Fingers crossed it'll be the one the community chooses!